The topic of self defense is one that interests many, is vitally important, and filled with fear and anxiety. If we imagine being out a night, walking home along the streets of any major city, or even small villages, and suddenly we are confronted by one or several angry men with weapons. For most the first reaction will be shock followed by total confusion. It is as if in an instant your entire world has collapsed. Everything you had believed to be true is gone. You feel like calling out "No Fair" or "Time Out", but you can't. Now it is real and you are totally unprepared. This image that I have just painted is one that motivates some people to start thinking about taking some practical steps towards self protection, perhaps even sign up for those self defense classes they have seen advertised all over the place. The truth is that the vast majority of self defense programs are extremely lacking and will do little to prepare you for a real life confrontation. I have spent my life studying this topic. 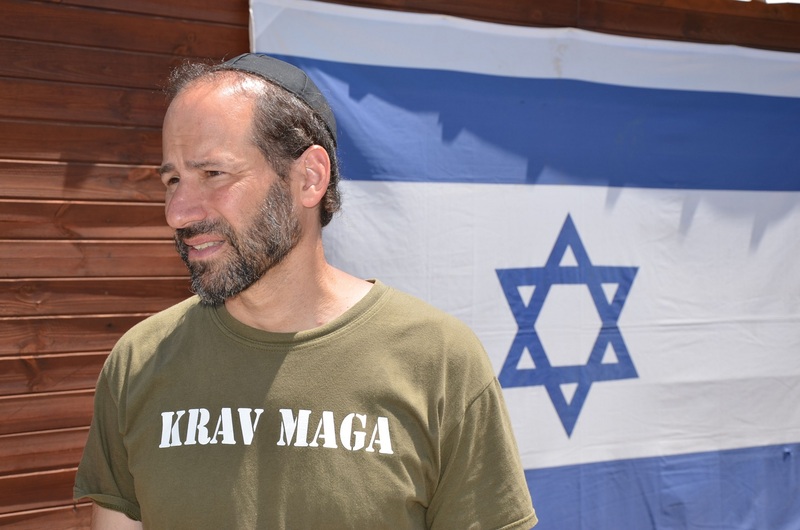 As a Jew the violence perpetrated against my people is not only a source of motivation to train and teach self defense but also a source of many valuable lessons. The Sonderkommandos offer some insights into this topic. For those unfamiliar with this term Sonderkommandos s were work units made up of German Nazi death camp prisoners. They were composed of prisoners, usually Jews, who were forced, on threat of their own deaths, to aid with the disposal of gas chamber victims during the Holocaust. They experienced the worst horrors of the Holocaust on a daily basis. Very few of them survived to tell their story, the Nazis made every effort to kill off this group and erase any trace of their crime. Fortunately a few did survive to tell the true story. Survivors of the Sonderkommandos were asked to describe the reaction of the Jews when they realized that they were about to be killed, all of them, men, women and children. They describe the feelings of shock, disbelief, the inability to act, crying, screaming. But not all reacted the same way, a certain Jewish woman, a dancer by profession, (see Krav Maga Dancer) refused to take off all her clothing. A Nazi officer demanded that this beautiful Jewish woman remove all her clothing. Eye witnesses differ on some details but she grabbed his handgun from his holster and shot him dead. Other women joined in the fight and several Nazis were hurt. Off course all the Jewish women were killed but they did fight back. This Nazi did not get his pleasure that day, he paid for his desires with his life. May he rot in hell along with the rest of them. 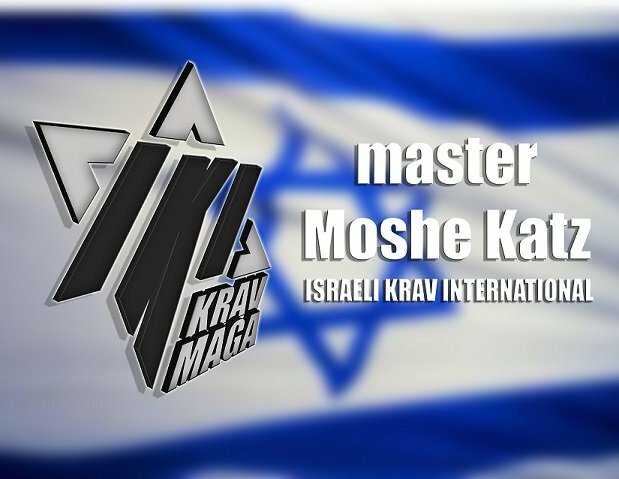 The topic of Jews were survived is a complex one and relates directly to this introduction to self defense: Why did a few survive and others did not? 1. Skill - Some Jews survived because they had skills. They were needed by the Nazis and although all Jews were ultimately doomed to death having a skill could help one survive longer, or get better food. Tailors, wood workers, gold workers, doctors, even musicians, were needed by the Nazis. Having these skills prolonged their lives. 2. Health - Some people succumbed to disease and starvation more easily than others. Although all people will die without food those with superior natural immune systems or strength have an advantage. We can call this the natural physical part of survival. 3. Attitude - Some say that a positive attitude helped them. Some say that they "willed it", that they simply knew they would survive the war. We can call this the psychological attitude of survival. 4. Warrior Spirit - Some had served in the military or had other combat experience. Some grew up tough, fighting on the streets, in trouble with the law. This gave them an advantage both in terms of attitude and fighting ability. 5. Luck and Circumstances - Primo Levi discusses the many reasons he and a few others survived but ultimately he attributes it to luck. A lot has to do with timing and location; is there anywhere to escape to, are there people who are willing and able to help? All of these factors relate directly to modern self defense. Let us look at the factors. Awareness - Perhaps the most important element in any self defense training is awareness of your environment. In every city there are areas that are more dangerous and less dangerous. Knowing where to go and where not to go is crucial. Keeping your eyes open and knowing what to look for is vital. Let us look at the aspect of Seeing and Being Seen - People often say that socially it is important to see and be seen. You attend a fancy party because you want to see the important people there and you want to be seen there among the important people. To stay on top you need to "Be seen". It is the same with self defense. On the street you need to see; you need to keep your eyes open and observe everyone and everything. You need to profile people, see who looks dangerous. You need to observe patterns of behavior and detect who might be up to criminal or violent behavior. You need to learn to observe people and see patterns. When I am on the plane I can tell you who is a regular traveler, who is a first time passenger and who travels only rarely. After a while this becomes easy. You need to be seen. This means do not appear as a victim. Do not appear to be lost, even if you are. Do not appear to be weak. It is better to be part of a group. It is better to appear confidant, in the way you walk, talk and project yourself. You are being "seen", you are being watched and the criminal is checking you out. He wants to see if you are a good choice for his next victim. Do not project fear, or being distracted. Look focused, calm, in control. The Attack - The dancer at Auschwitz was not a trained fighter. But as a dancer and singer, and actress she knew how to cope with fear. She had self respect. This is excellent training for self defense, look in the face of fear, look in the face of evil. Look into the storm and say Watch out because here I come! Skill is important but attitude is crucial. The Sonderkommandoes were planning a revolt but they were waiting for assistance and cooperation from other resistance groups. That never came, all they received were "the time is not right yet". Eventually the Sonderkommandos revolted alone, in Auschwitz. Hesitation is not your friend. For self defense one must be willing to act, now! Attitude and Resolve. Do it now. Circumstances - A great detail comes from looking for windows of opportunity. Our Dancer, Francheska Mann, saw an opportunity. With Attitude, Resolve, Courage, she grabbed his handgun and fired immediately, killing him. Effective self defense comes from seeing opportunities, picking up a stick on the street or creating an improvised weapon. Understanding the Culture of Crime: When I arrived in Ukraine for the first time I asked my hosts about the culture and nature of crime in their area. Is there anti Jewish crime? Are tourists being targeted? Every country and region is different, both in terms of goals and tactics. Knowing and studying this culture in advance is crucial. Do they want your wallet or your life? To summarize: An attitude of self respect, the declaration that I will not be a victim. Training for situational awareness, observing people. Skill - It goes without saying that training in Self defense, Krav Maga, is vitally important. Learning effective and practical skills is essential. However without the psychological preparedness these will be like tools locked in a tool box, useless when needed. I have heard so many stories of expert martial artists being caught completely unprepared in real life situations. There is not one correct answer for all situations. You must assess your overall situation. This will determine if you fight and run, fight and stay, or just run, or try to talk your way out of it, or comply to some extent. Ability: Strength, skill, level of training. Do you have any chance of fighting this person? Purpose: You must think of your purpose: Are you the security guard? Are you in charge of protecting others or are you alone on vacation? Circumstances - Are you alone in a parking lot or in a crowded synagogue? Are their others who need your help or can you just hit and run? Do they only want money or to kill your family or take them hostage? All these factors determine if you should stay and fight, or Hit and Run. The psychological aspect is key but it is also directly related to the physical aspect. Having trained physically will also prepare you psychologically. If you believe you have skills this will give you greater confidence, greater confidence will make you more successful with your physical skills. They are interrelated. All techniques must be easy to learn, easy to apply in a variety of situations, easy to remember. Lacking any of these three makes the techniques a useless waste of time. Many martial arts have wonderful techniques but they can only be applied in very specific situations and can be transferred to other areas. They take too long to learn and once learned are easily forgotten if not practiced on a regular basis. Gross Motor Moves - We only use gross motor moves. When stress and adrenaline kick in we lose our fine motor skills. Techniques that involve grabbing or any fine motor skills will be lost. Our mind cannot use them. First Step Essential - With many martial arts the success of the technique depends upon successfully completing a series of moves, or steps. While some of our techniques do have more than one step it the first step that matters most. Already with the first step you are out of immediate danger. This means the success comes with the very first move. The remaining moves may enable you to control or subdue your opponent but already with the first move you are out of imminent danger. We do not rely upon Speed, Strength, Size, Skill, Superhuman qualities - With IKI we recognize that self defense is for all. Therefore being having the qualities of Superman are not required. If Speed, Strength, Size, Skill are required to make a technique work, we drop it. Such techniques are not part of our curriculum. All Situations: Planes, Trains and Automobiles. We deal with them all, in your car, in your house, in the elevator, in your bedroom. We deal with it. Self defense for all, so that all may live in peace.